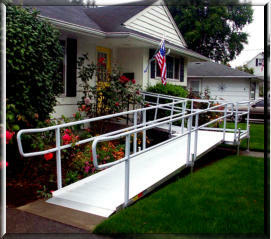 At CARE, we provide wheelchair ramps in a wide variety of configurations and sizes. 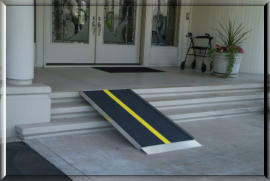 At CARE, we can design and build just the right accessible ramp for your needs. 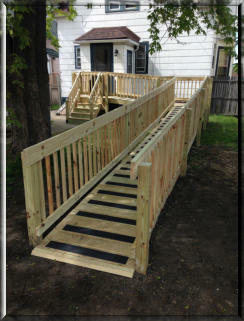 Our ramps can be produced from the more traditional wooden materials (pressure treated pine, cedar, etc) and from the more moden all aluminum. Either option will be durable, easy to maintain and meet all ADA and local code standards.